BetaDwarf - Official Blog: Do you remember when we said 2018 will be truly legendary? Do you remember when we said 2018 will be truly legendary? You might wonder why we reach out to you on a Thursday. Well, we wouldn't if it wasn't important! We told you a lot about an upcoming partnership and teased you here and there. Some of you heard the same old "we're not allowed to tell you any details right now" and surely, that wasn't a pleasant experience for the last few months. But finally, the wait is over! BetaDwarf Entertainment is proud to announce its partnership with Discord and that Minion Masters will come to the upcoming, brand new Discord Store. The date on which that will happen has yet to be determined, but follow and join our official and verified Discord server for more real-time updates. For more information about the Discord store, check out their blog on Discordapp.com. We also announced it already on social media! Minion Masters - coming soon to Discord! 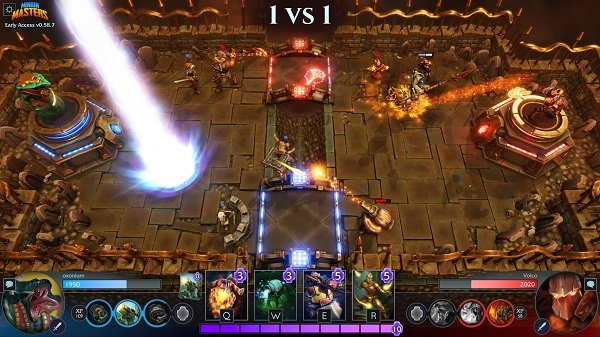 Minion Masters will still be in Early Access on both platforms: Discord & Steam. This is not any kind of full release and both platforms feature the very same game with the very same content. "First on Discord" just means the PC version of our game is available on Discord for free for a limited period of time before it is available in other stores. Minion Masters will thus be available for free on Discord first, while the free availability on Steam will follow at a later point together with the official release of Minion Masters for PC & the Xbox One franchise. Discord and Minion Masters - what changes for you? The official release of Minion Masters was planned for summer 2018, did that change and why? Yes, the official release was planned for summer this year. However, Discord gave us a huge opportunity to reach a larger audience and not get buried in other stores. We took the extra time to polish up our game some more and prepare for the best launch there could possibly be. As for why we needed to delay the official release, please read the explanation above about "First on Discord". So, was the release delayed because of Discord? It was not delayed because of Discord. That being said, we are excited to get our game on Discord and were willing to work with them on their store launch date. Is Discord a publisher of your game? They are not. We are self-published and are working with Discord to get this game out to our PC players. When will your game be available? Our game will be available later this year so keep your eyes on our social media or hop into our official and verified Discord server for real-time updates. Why didn't you just release on Steam first? We are already on Steam and as mentioned earlier, both platforms will feature the very same game. We are not leaving Early Access, either, so it's not an official release. Existing users will be able to play Minion Masters as they did before, you can even start your game via Discord and be redirected to Steam. 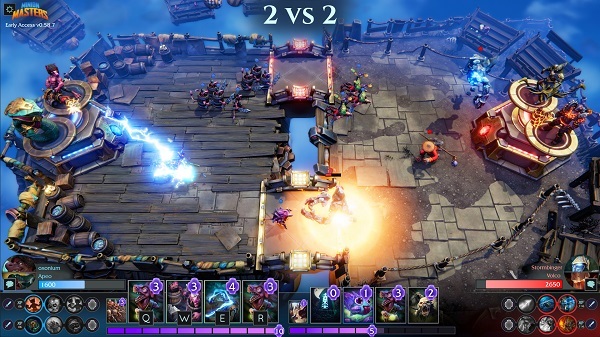 You do not have to be concerned about any platform issues, as Minion Masters is the very same game on both distribution platforms. While we'd like to hope we covered all of your questions, we're quite certain we did not. That's why we want to encourage you to ask us any questions about the Discord partnership and Minion Master's availability on Discord later this year on our known communication platforms, such as Discord, Reddit, Steam, Twitter & Facebook! Masters, there are exciting times coming towards us all. This partnership and the availability of Minion Masters through the "First on Discord" program means a lot to us and to the overall success of the game we all love to play and develop further. We want to thank each and every one of you for your endless support, being it by giving us feedback, suggestions, creating content, running tournaments or participating in them, watching events on Twitch or just hanging around and engaging with each other. You guys are amazing and Minion Masters wouldn't be possible without you.